Indie Spirits Tasting Sydney is back for it’s fourth year, returning to Restaurant Hubert for an afternoon dedicated to the best craft hooch around on Sunday, 16th September from 1pm to 4pm. Click here to get your tickets. Indie Spirits Tasting Sydney has garnered a reputation for being a launching pad for brand new products for local distillery folks and little independent booze companies. And this year has proved no exception. So here is a little taste of some of the new products that will be showcased in September. The folks at Cargo Cult have paired their famous rum with Australia’s most popular fruit – banana. It was a long process where the production team peeled an awful lot of bananas and poured a sinful amount of Rum down the drain. “After trying all kinds of ways to make the product we decided to go all natural, infusing our Spiced Rum with Bananas and an extract from redistilling Banana puree,” say the team. The result is a natural Banana aroma and taste that delicately sits on top of the spices in Cargo Cult Spiced Rum. At 38% ABV it is classified as a Rum and the infusion process brings a natural sweetness from super ripe Bananas. Perfect for a Royal Banana Yacht Club. Sample it at Think Spirits Cargo Cult table at Indie Spirits Tasting Sydney. And while on the topic of rum, the folks from Chalong Bay are extending their line to include a lime and a kaffir lime. Chalong Bay Rum is a handcrafted rum using sustainable production that binds the traditional French art of distillation with the rich sugarcane heritage of Thailand. Manufactured in Phuket using a traditional copper still imported from France and a centuries-old distillation process, Chalong Bay’s innovative craftsmanship has produced an award-winning rum of incredible character, originality and smoothness, giving full expression to the 100% natural Thai sugarcane contained within. The range includes a pure spirit as well as several flavoured varieties such as lemongrass, thai sweet basil, cinnamon, and the newbies kaffir lime, and lime. Check their range out at the Premium Taste table. On the gin front, we have a new one from Big River Distilling in Canberra who have their Canberra Dry Gin hitting the market. This artisan spirit is distilled with precision, concentrating flavours and creatively balancing traditional ingredients with Australian botanicals including lemon myrtle and mountain pepperleaf. 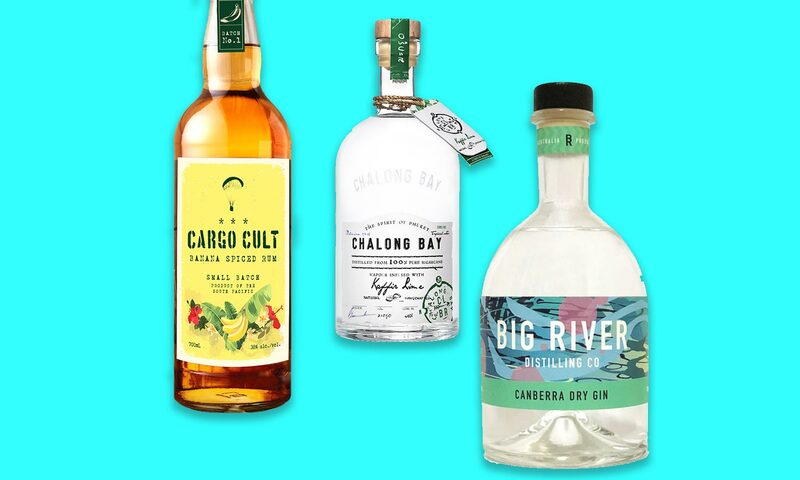 Big River Founder and self-styled Chief Beverage Engineer Clyde Morton launched Canberra Dry Gin saying: “Distilling is an exact science, combining flavours and inspiration. I’ve established Big River Distilling Co to create spirits that reflect the unique Canberra environment. The first batch of gin is aromatic with subtle, complex flavours.” Check it out at the Big River Distilling table. This is just a fraction of the more than 150 craft spirits that will be on show from nearly 50 exhibitors. Don’t miss out on your early bird tickets for just $35. Click here to get yours now.